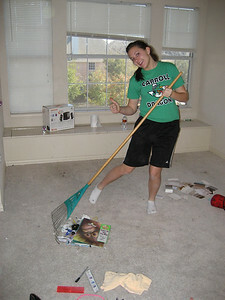 Alli raking the carpet to make it easier to pick up the junk. 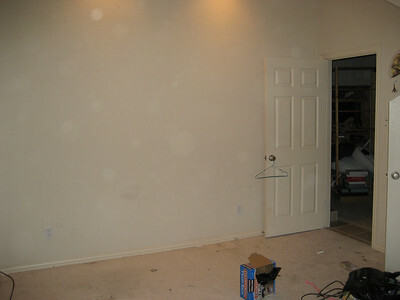 We left the carpet in the closet and used it as temporary storage. 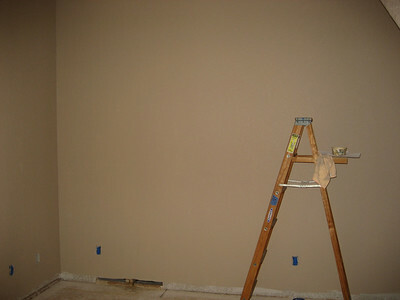 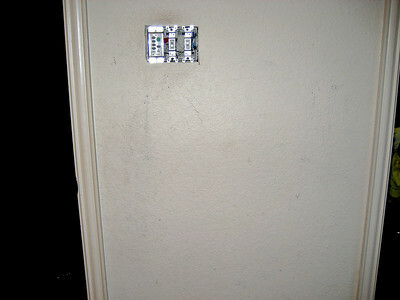 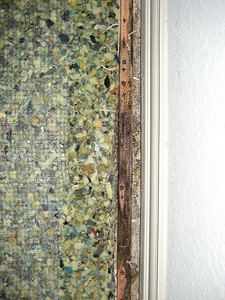 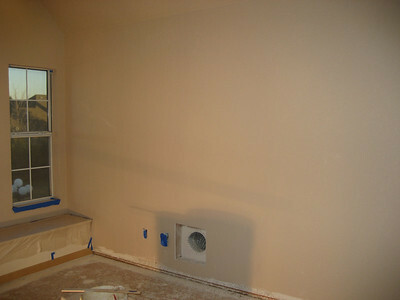 Sample of the wall before painting. 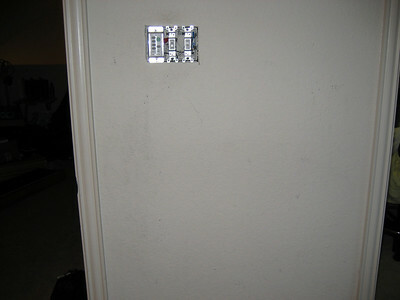 Teenagers can be hard on the walls. 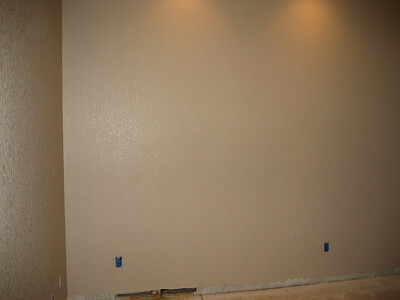 Sample of the wall before painting. 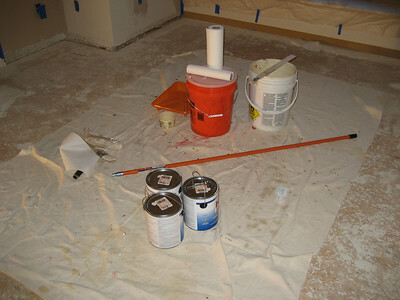 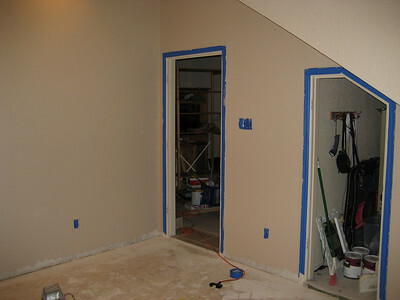 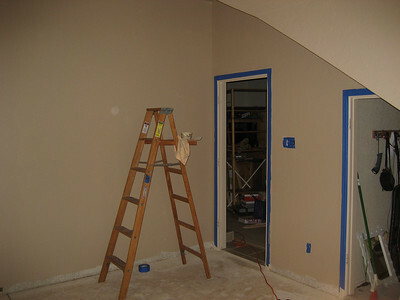 Priming the walls with Kilz 2 tinted 50% of the final coat. 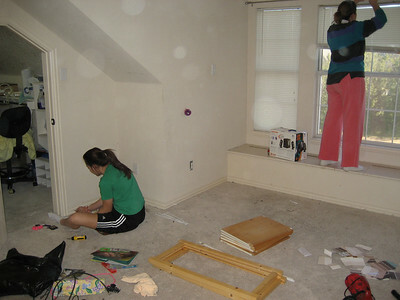 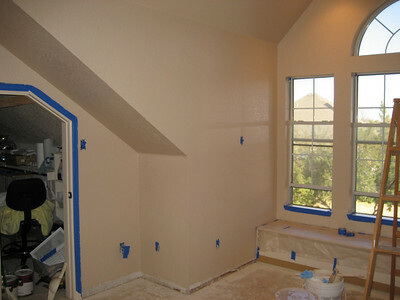 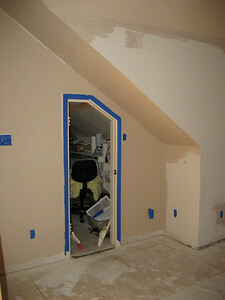 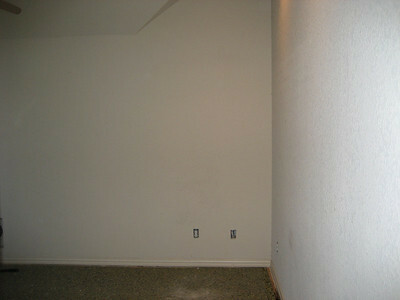 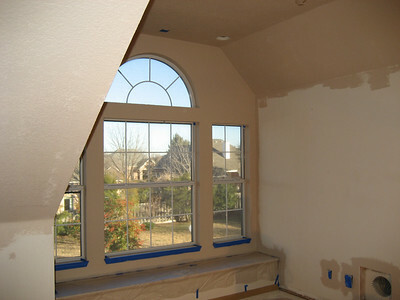 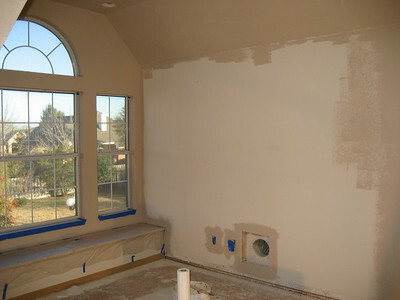 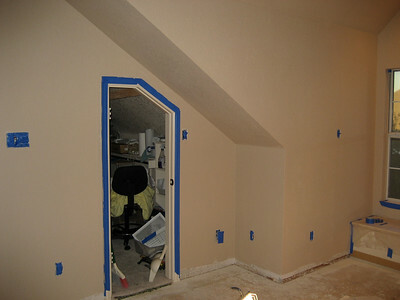 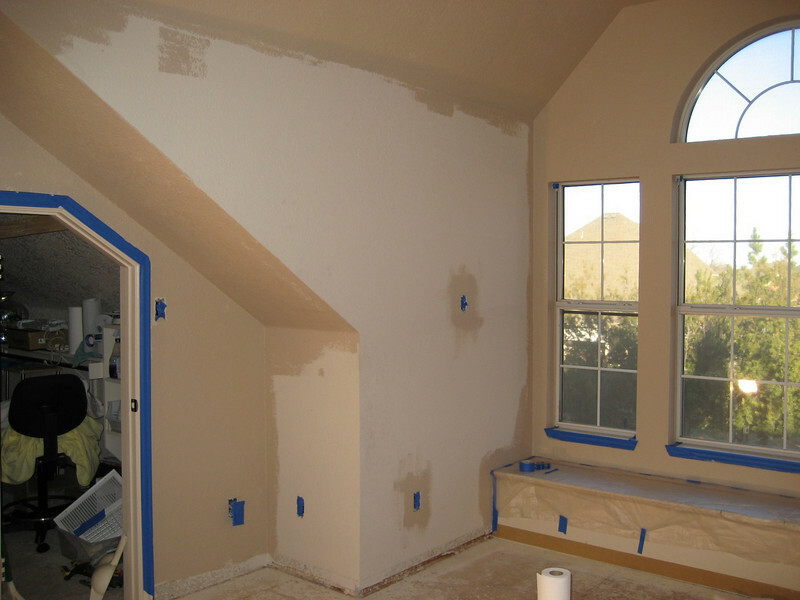 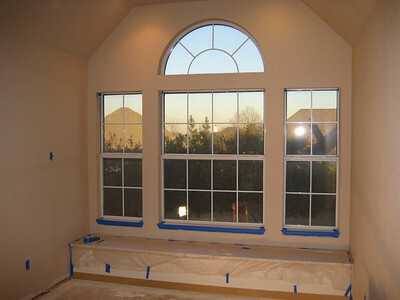 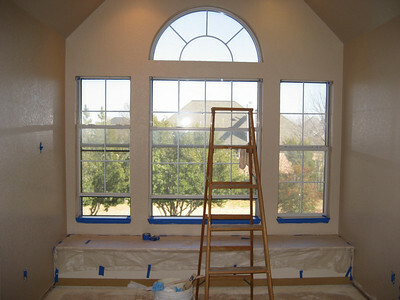 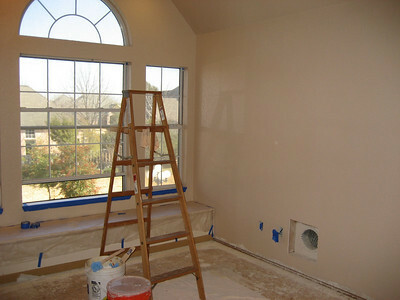 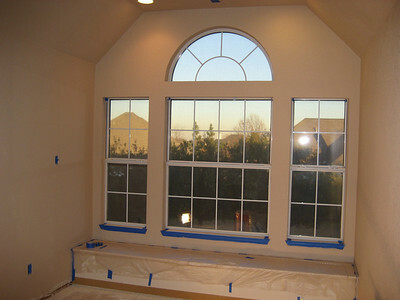 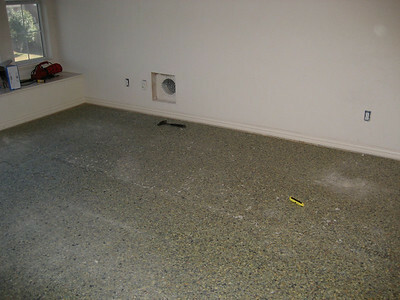 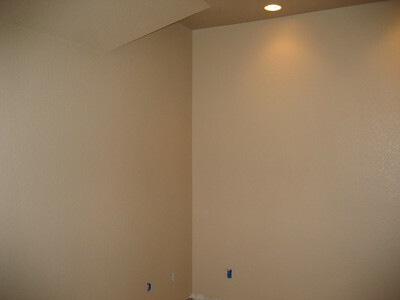 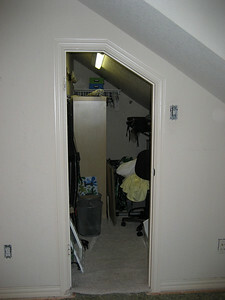 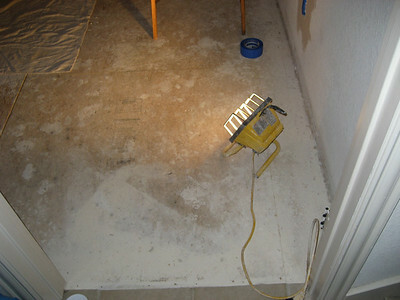 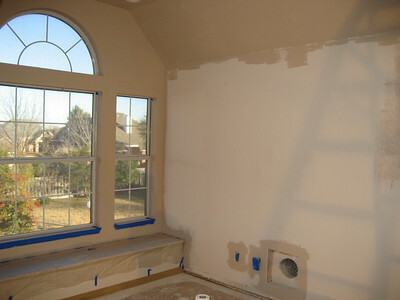 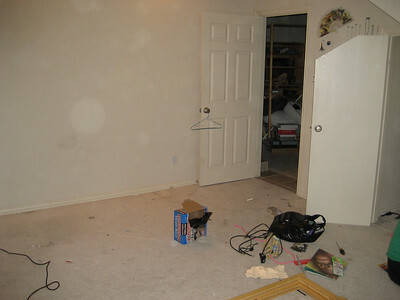 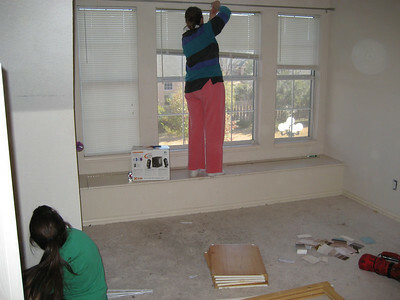 Various views of room after priming.